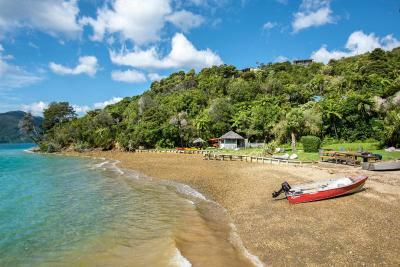 Lock in a great price for Punga Cove Resort – rated 8.6 by recent guests! 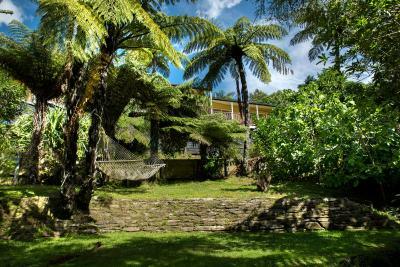 Punga Cove was like paradise. I was surprised at how wonderful this resort turned out to be, as it was very reasonably priced. My favorite meal was “The Punga Special” pizza at the bar by the water. Great overall experience!!! Beautiful location! Simply stunning. View from our cabin was amazing. The food served at the restaurant was outstanding! The view was amazing, chalet was very private and clean. The food at both restaurants was amazing! The view from the room's balcony is magnificent, but that from the restaurant is even better. Absolutely stunning. Food is excellent too. Great friendly service by all staff. Beautiful location. Loved our spacious quarters. Enjoyed the pool, spa, ping pong and the waterside cafe. Staff were always warm and helpful. A bit of luxury after a day of walking in the rain. 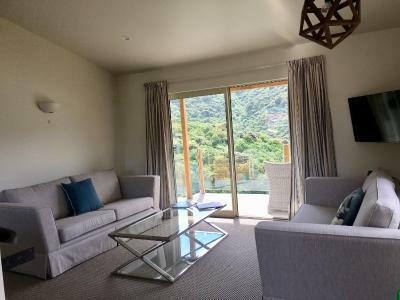 Punga Cove Resort This rating is a reflection of how the property compares to the industry standard when it comes to price, facilities and services available. It's based on a self-evaluation by the property. Use this rating to help choose your stay! 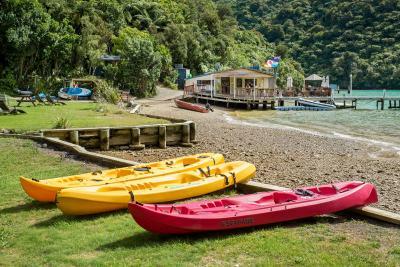 Punga Cove Resort is offering accommodations in Endeavour Inlet. Among the various facilities are a seasonal outdoor swimming pool and a garden. The resort has a terrace and a hot tub. At the resort, rooms come with a balcony. 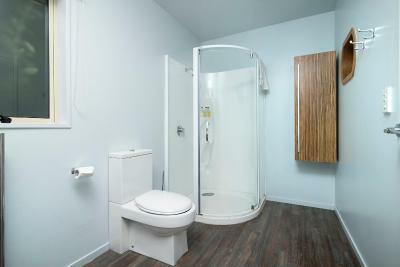 Some rooms include a kitchenette with a microwave. The area is popular for cycling, and bike rental is available at this 4-star resort. Woodbourne Airport is 59 miles away. 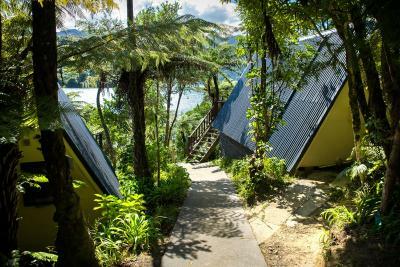 When would you like to stay at Punga Cove Resort? This double room has a balcony, view and electric kettle. 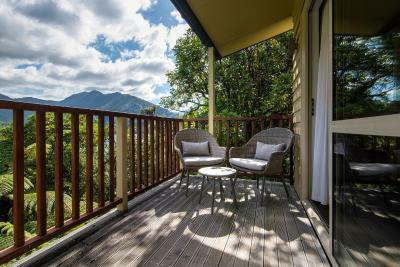 This chalet has a balcony, seating area and air conditioning. This chalet features a balcony, CD player and kitchenette. Located in the 4-room lodge, this room offers access to communal areas of a kitchen, lounge area and dining room. 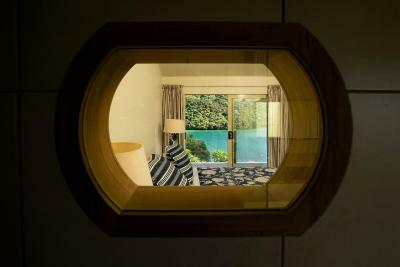 Sea View in common areas. 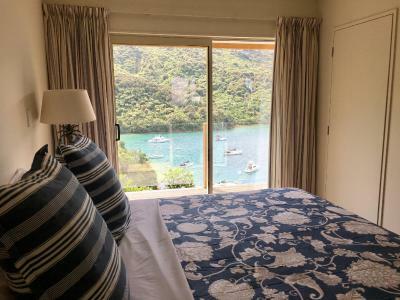 This single room features a balcony, tea/coffee maker and sea view. 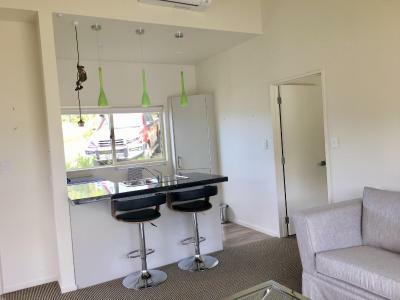 This double room has a balcony, seating area and microwave. 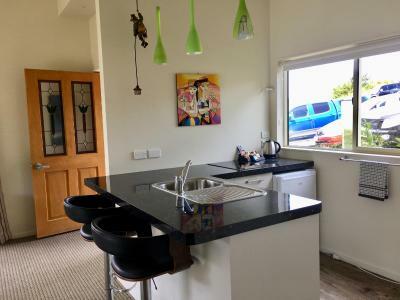 This chalet features a balcony, toaster and CD player. This chalet has a balcony, CD player and seating area. This suite features a balcony, sofa and CD player. 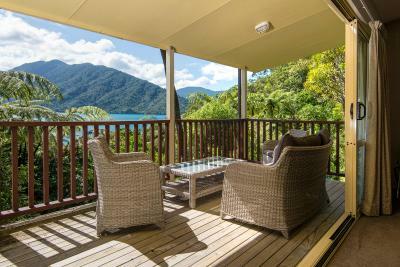 Experience clear sparkling water, native New Zealand bush and simple tranquillity. 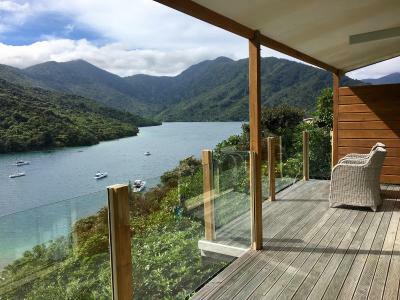 Offering a seasonal outdoor pool and a private beach area, Punga Cove Resort is set amongst stunning scenery in the magnificent waterways of New Zealand's Marlborough Sounds, Punga Cove is the perfect retreat for people wanting to relax in style. 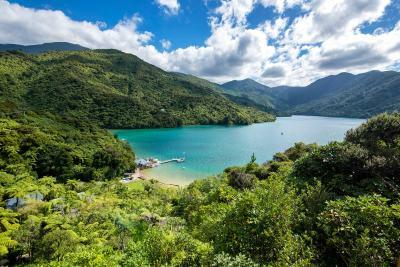 Explore the turquoise waters in our sea kayaks or visit nearby islands and cruise the sounds in search of playful Dusky Dolphins. 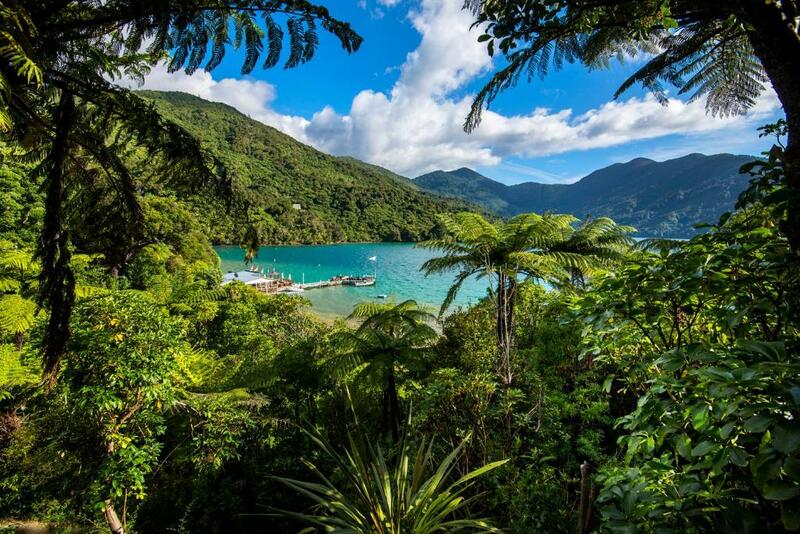 Experience the leafy wonders of the Queen Charlotte Track or catch fish in the bay. 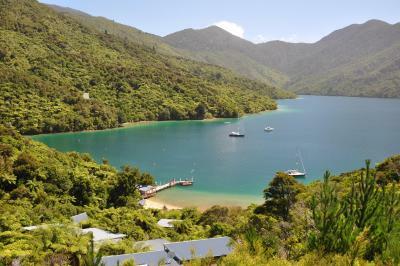 Join an outer sound fishing charter or take a gourmet picnic lunch and a bottle of champagne to a secluded beach nearby. 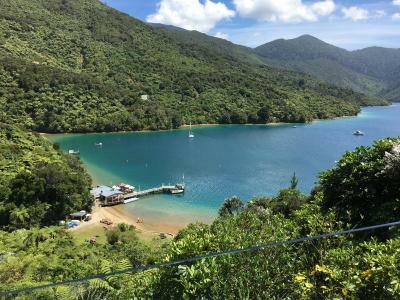 Enhance your holiday's relaxation with a meal in our fully licensed restaurant situated to give breathtaking views of the entire Endeavour Inlet. 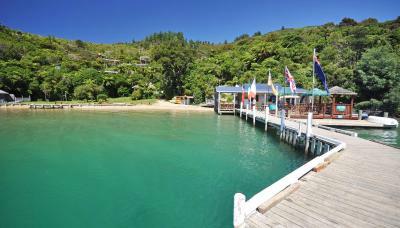 Have time out at the Boatshed Cafe & Bar on the jetty. Enjoy your coffee watching birdlife, fish swimming by and the boats which come and go. Get refreshed in our outside pool, or either relax in our hot tubs. 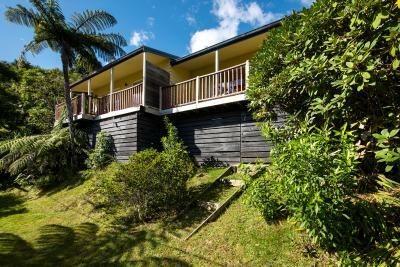 If you are looking to spend time in a different environment, away from the usual daily pressures - look no further than Punga Cove. 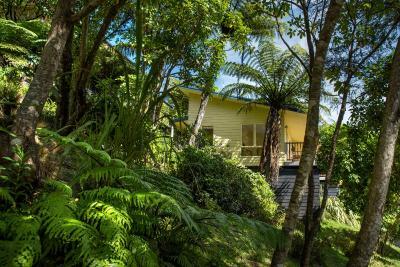 House Rules Punga Cove Resort takes special requests – add in the next step! All children under 12 years are charged NZD 20 per night for extra beds. 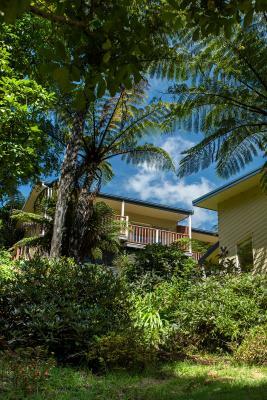 Any additional older children or adults are charged NZD 50 per night for extra beds. Punga Cove Resort accepts these cards and reserves the right to temporarily hold an amount prior to arrival. Please note that check in is available from 14:00 until 17:00. If you expect to arrive outside reception opening hours, please inform the property in advance, using the contact details found on the booking confirmation. Fabulous views, great chalet. Great pizza! Very poor water pressure in shower and mould in the window in the restaurant toilet. Also I was located beside the very noisy staff shower (yep it was in use at midnight and 5am). One steak at the restaurant, was over cooked. Also some staff , need to smile. We enjoyed the boat trip , the young man , who was the skipper was delightful., the location, accommodation, the surroundings. Breakfast was completely over priced with a limited selection in the very basic buffet. Coffee was not nice considering the price tag of $26nzd! Beautiful location, clean rooms and a very accommodating chef in the main restaurant (evening meal). Reception staff were also very friendly and welcoming. Decent laundry facilities. 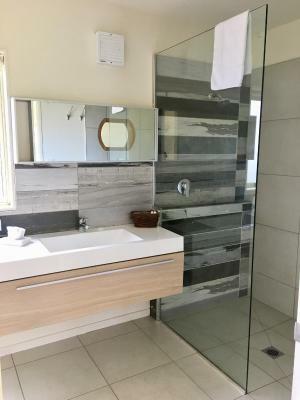 No coat hooks or towel hooks anywhere in room. No insect mesh on window so mosquitoes came into room all night, bathroom smelt of urine. Guy behind bar in boat shed was pretty unfriendly and menu was way too limited and overpriced. The Aframe room was a tad low over one side of the double bed. Bed a bit springy for two. Beautiful setting amongst the trees with views of the water. Peaceful. Great food in the restaurant high above the resort, overlooking the cove. Good pub style food at the facility at the pier. 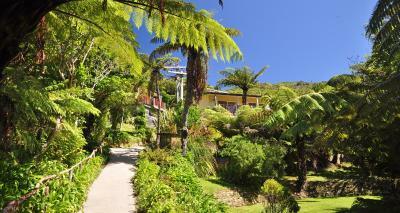 Great location along the Queen Elizabeth track. Nice complex in a tranquil bush setting. All of the inns on QC track sell you packed lunches. All are great but are soggy messes 4 hours into a walk. Great location. Friendly staff. Very clean. Good food. Lots of hot water. We stayed in one of the rooms with a sea view and the view was spectacular. The room was comfortable and clean. I would definitely stay here again.